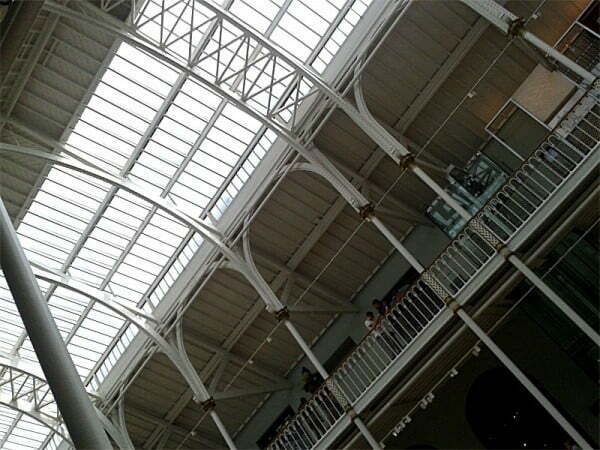 The finest of Scotland’s museums is also the busiest. After an extensive refurbishment it re-opened to plaudits and rave reviews. There is a great mix of exhibits covering natural history to ancient Scottish history. You would expect that Edinburgh Castle would be the most visited attraction in the city. However it is in a worthy second place. The castle is one of the UK’s finest and despite the rather high entrance fee, is definitely a must-see attraction at least once in your life. In third place, with its home in the very centre of Edinburgh, on the Mound, the Scottish National Gallery is a stunning, peaceful haven away from the hustle and bustle of neighbouring Princes Street. There are some great artworks to view here too known to Scottish and International art fans alike. Fourth place belongs to a grand old cathedral. Sitting halfway down the Royal Mile, St Giles is a stunning building and the place where the great and the good of Edinburgh have gone for hundreds of years to worship and celebrate life and death. Located to the North of the city centre, just beyond leafy Stockbridge, The Botanics is popular with locals and visitors alike. While the glasshouses do request an entrance fee, there is so much to see and enjoy in the outdoors part of the Botanics, you could spend hours here. A short walk from the town centre beyond the Dean Village, the Modern Art gallery sites in sculpted grounds beside the Water of Leith. Beautiful light and atmosphere promotes a memorable visitor experience. Edinburgh Bus Tours are a great way to get your bearings if you are new to the city and are an easy way to get to some of the farther flung attractions such as the Botanics and the Royal Yacht Brittania. Tours leave from Waverley Bridge beside Waverley Train Station.